Taiwan is holding the island’s biggest local election, which is widely seen as a referendum on the China policy of the ruling party. Almost 20,000 candidates are running for more than 11,000 posts on nine levels of government. Critics say the ruling Kuomintang (KMT) party is too close to China, while its supporters say Taiwan needs good relations with its powerful neighbor. China sees Taiwan as renegade province with which it should be re-united. Taiwan and China have been ruled separately since the end of a civil war in 1949. Taiwan only began allowing truly democratic elections – with opposition party candidates and universal suffrage – in the late 1980s. Polling stations across the island opened at 08:00 local time, with more than 18 million eligible voters registered. 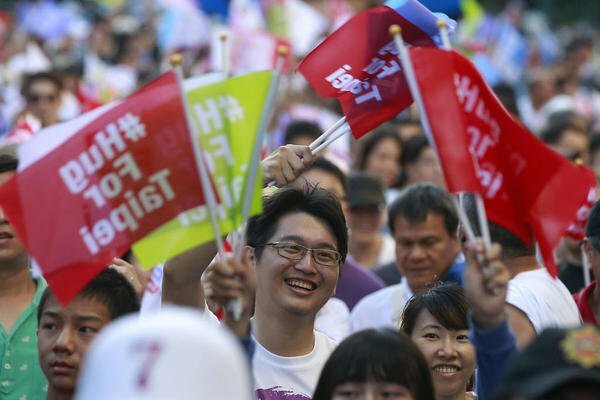 The KMT currently holds the presidency, a legislative majority, and most of Taiwan’s cities and counties, although recent opinion polls have suggested that it risks losing its traditional strongholds such as Taipei and Taichung. They distrust the KMT, regardless of whether the deals signed with Beijing are good for Taiwan, our correspondent says. KMT supporters, on the other hand, feel that Taiwan needs good relations with its biggest trade partner to breath new life into the island’s ailing economy. They fear a victory by the opposition DPP party could cause relations with China and Taiwan’s economy to regress.